This bouquet looks good enough to eat! 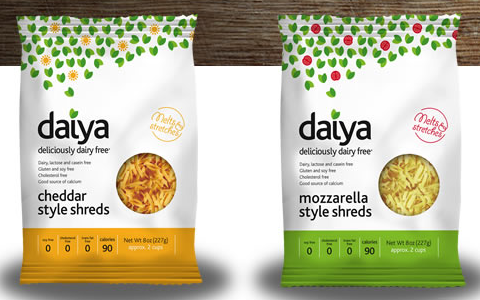 Oh,wait…it really IS good enough to eat! What occasion doesn’t deserve a beautiful centerpiece of deliciousness? Surprise someone with an edible treat for the holidays– such as Valentine’s Day, Easter, Mother’s Day or even Christmas. Change a ribbon or paint the flower pot a different color and you have a perfect centerpiece for a bridal shower or a wedding. Not only is this bouquet a feast for the eyes, it also contains wonderful tasting cupcakes to enjoy. I’ve taken one of my favorite ice cream flavors and transformed it into a flavorful cupcake. The frosting is irresistible on its own accord, too. It’s pretty tempting to just scoop a finger-full before you frost the cupcakes. Go ahead! I won’t tell anybody. * You will need a jar of maraschino cherries for this recipe. Use the juice out of the jar as called for in the recipe and the cherries themselves will be used as decorations in the bouquet. 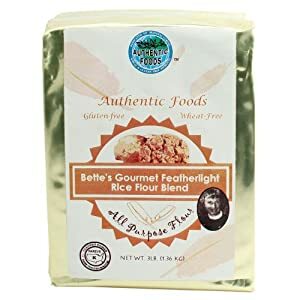 Amaretto Extract: Silver Cloud Estates Amaretto Natural Flavor Blend (gluten and sugar free)– Can be found at cake/candy supply stores or online. VERY IMPORTANT: When you buy your maraschino cherries, make sure that it says “Gluten-Free” on the jar! 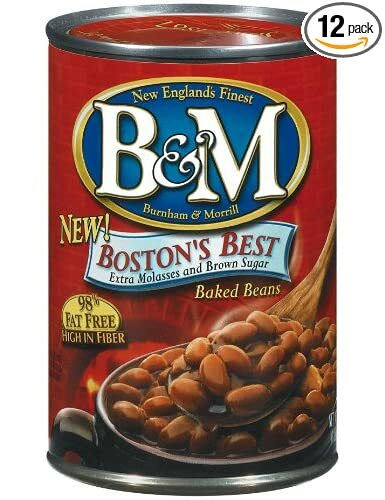 Sometimes they use barley as the natural flavors. Who figured? Preheat oven to 350 degrees. Add Bowl #1 (egg replacer) to stand mixer Bowl #4 (creamed margarine and sugar mixture). Mix well. Alternately add Bowl #3 (dry ingredients) and Bowl #4 (non-dairy buttermilk with cherry juice) beating on low speed until combined. Spoon batter into baking cups about 2/3 full (should be between 22 to 24 cups). Do not overfill. Bake at 350 degrees for 15 to 18 minutes until springs back when touched with your finger. Cool completely on wire racks before frosting. In stand mixer bowl, beat margarine and palm shortening on medium speed until smooth. Gradually add 2 cups powdered sugar, beating well. Beat in the maraschino cherry juice and the amaretto extract. Gradually beat the final cups of powdered sugar until it reaches piping consistency. It will need to be on the stiffer side rather than a soft piping consistency. If too stiff, add cherry juice a teaspoon at a time. If too soft, add a bit more powdered sugar. 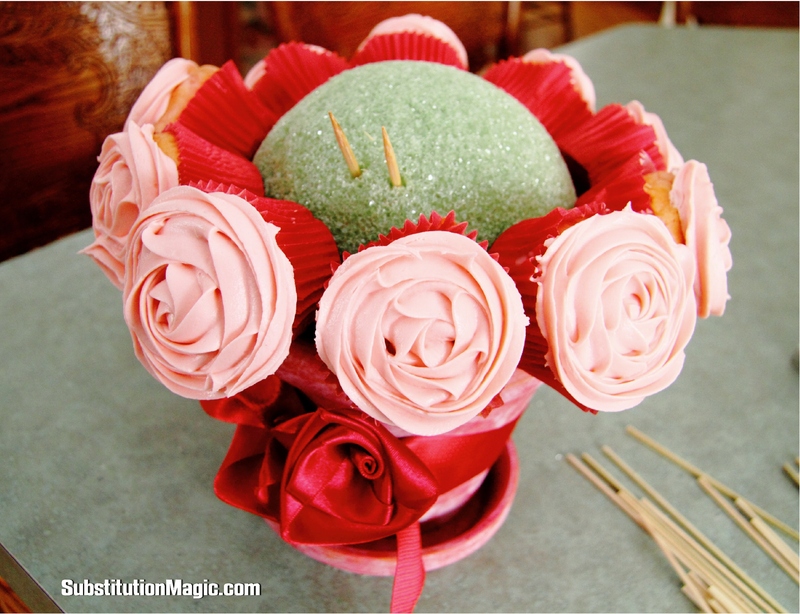 Directions on how to frost the cupcakes as a rose is located below. 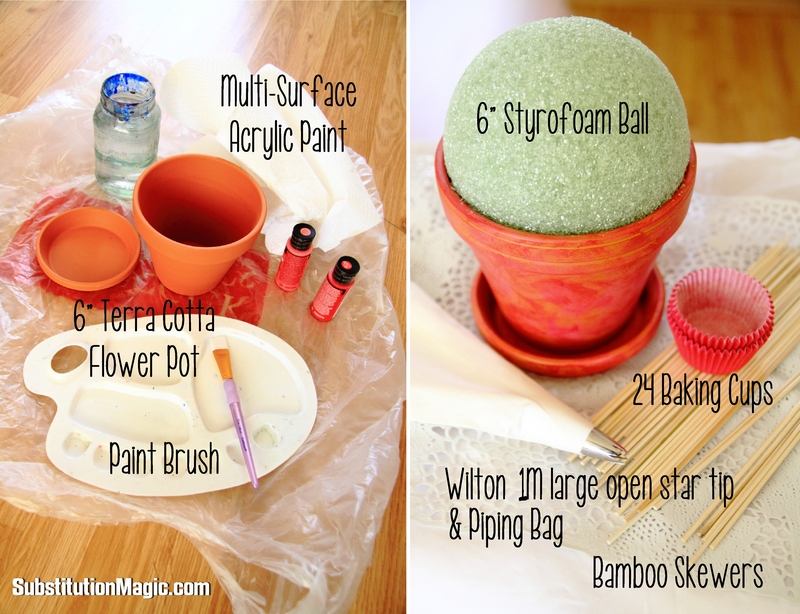 To Start: Paint your flower pot in any creative way you desire. The above pictured flower pot was dry brushed with 3 colors: red, pink and white. Let your paint dry completely. Place the Styrofoam ball in the pot. If it fits snuggly, you’re good. If it’s kind of loose, put scraps of Styrofoam in the bottom of the pot with some wooden skewers to attach the ball. 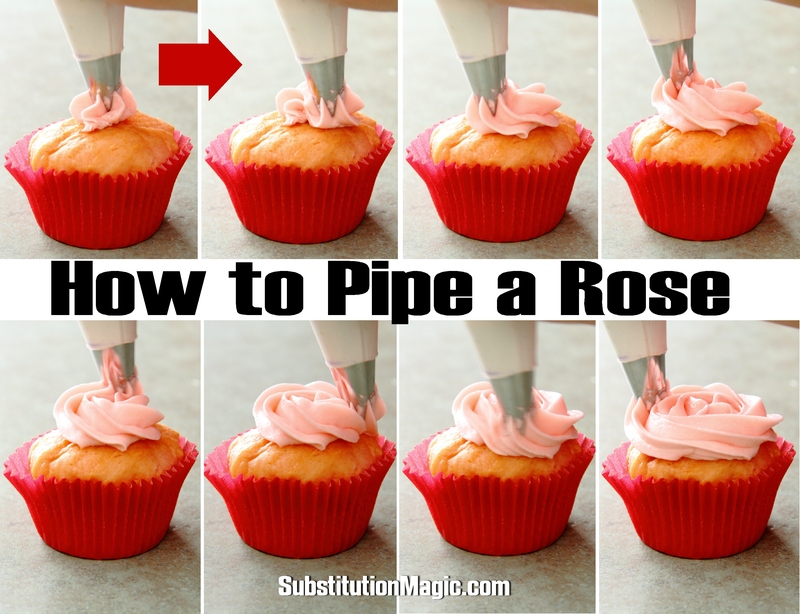 To pipe your rose: Start in the middle of the cupcake with your pastry bag straight up (not at an angle). From the middle, spiral out and continue going around until you reach the edge of the baking cup. Don’t pipe over the edge or your rose may spread too much. Spiraling “out” and not “up” is the way to make the frosting look like a rose. Once you’ve finished piping your frosting roses, place the cupcakes in the refrigerator for at least a half an hour to firm up the roses. Now you’re ready to put the bouquet together. Putting it all together: Tie your ribbon around the flower pot. You may need to use a hot glue gun to glue the ribbon in place so that it doesn’t slide down. To place the cupcakes on the ball, cut the bamboo skewers to about 3″ long. Use 2 skewers per cupcake so that the cupcake is placed firmly and doesn’t twist around. Start with the bottom row. Do one cupcake at a time. Place 2 skewers, with the pointed side out, in the Styrofoam ball until about an inch is sticking out at a 45 degree angle upwards (so the cupcake doesn’t slide off) and gently push the cupcake onto the skewers. You’ll be able to fit 10 cupcakes on the bottom row. Be careful not to mess up your beautiful job of frosting as you push the cupcakes on the ball. After you’ve filled the ball with cupcakes, cut 4″x4″ squares of tissue paper and carefully fill in empty spaces to look like leaves and cover up areas where the Styrofoam ball can be seen. Then take your jar of maraschino cherries and dry some of the cherries on a paper towel. 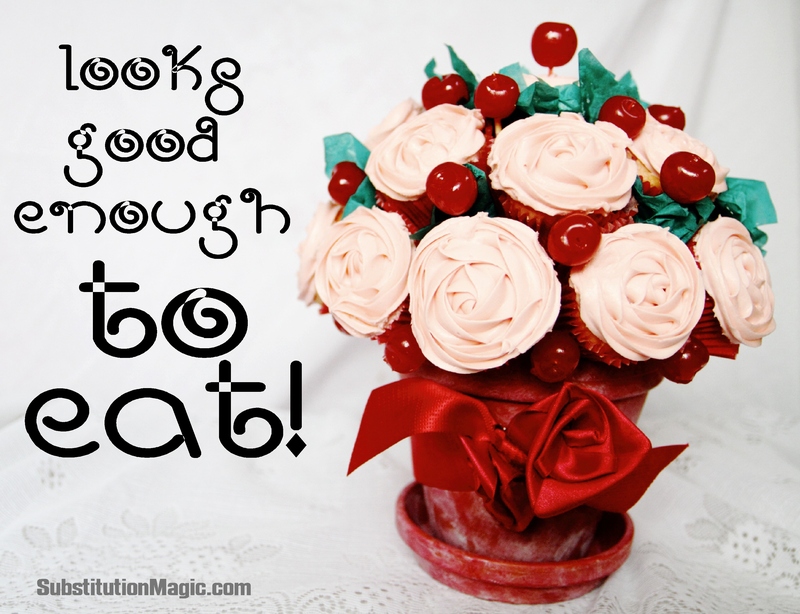 Place 3″ bamboo skewers in between cupcakes into the ball and press a cherry on each one. 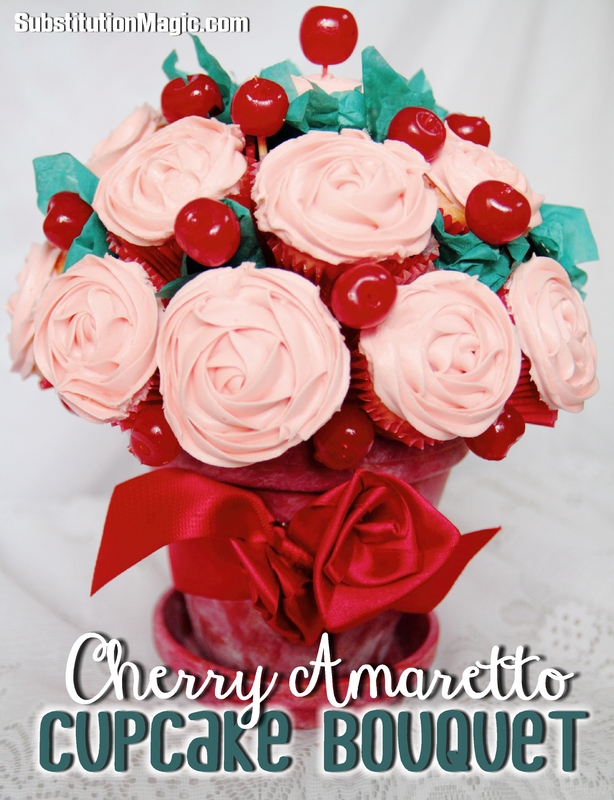 Use your creativity on how many cherries you’d like to use on the bouquet. Refrigerate until ready to display and eat. Enjoy your beautiful creation!